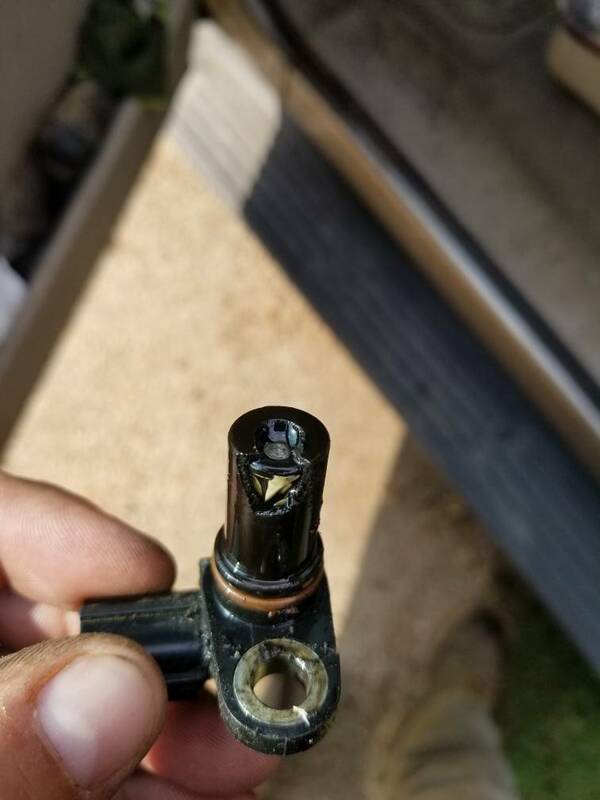 Cam sensor cause IPR to not close? Been out of town for a week and came home to the 03 6.0 being dead. Said it was running fine and just shut off like you turned the key. Hasn't hit a lick since. Put AE on it this morning. Getting no RPM signal which tells me the cam sensor is bad. ICPv is good, pressure will go as high as 600 when cranking, but is up and down anywhere from 600 to 200. IPR stays at 14.5% but very briefly will jump to 84, but immediately back to 14.5. I can manually command the IPR to 80% and ICP jumps to 3000. Will a bad cam sensor cause the IPR to not function? The ICP and IPR were both replaced earlier this year, but the truck is still on the original HPOP at almost 300k miles. ICP was leaking oil bad, IPR had quit working. My original guess was the pump finally chit the bed, but thinking now I might get lucky and only have to replace a cam sensor. No rpm signal is typically a crank sensor issue. When a crank sensor is bad, typically the IPR defaults to 14.4% SO you could be having intermittent issues with that sensor. Last edited by bismic; 06-11-2018 at 07:56 AM. Dang, I though the rpm signal came from the cam sensor. Crank sensor was replaced on it, but it's been a while. I'll try that first. On my SnapOn scanner rpm comes from the cam sensor, but on an SCT device it seems to come from the crank sensor because I have unplugged a cam sensor before and still picked up rpm when cranking with an SCT. That being said, I believe the ECM reads rpm from the cam sensor. If you don’t have cam sensor signal the ECM doesn’t know that the motor is turning over and will not change IPR position. Ford manuals specifically state that the rpm comes from the crank sensor, and to replace it for no sync and no rpm signal. Check the connector and wiring closely. Last edited by bismic; 06-11-2018 at 12:56 PM. As stated, rpm comes from the crank sensor. Without rpm, the truck doesnt know its turning over, so its not gonna close the ipr, command injectors, etc. Appreciate the post 6.0Tech. Something is just telling me that a cam sensor was going to get changed anyway. Last edited by bismic; 06-12-2018 at 04:49 AM. Well it was, before the info I've gotten here. Crank sensor is ordered and will be picked up sometime today. I'll get it put on one day this week when I get a little bit of free time. Put in a new sensor, wires were chaffed so I dropped the ac compressor and took tensioner off to get the wiring up and out so I could clean and tape them. Back together and it fired right up, but misses like crazy, smokes heavy, and tach is bouncing all over the place. Forgot my laptop so I'll have to scan it tomorrow. Still acts like an issue there, and I'm concerned what broke that sensor.